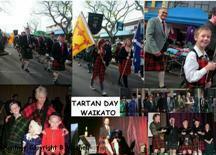 Tartan Day in the Waikato - July 2nd, 2011.
in Frankton, Hamilton, Waikato, N.Z. 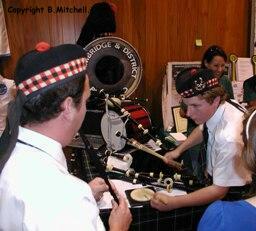 Over the past few years in Hamilton, tartan day is held celebrating tartan and Scottish culture. Now it is generally organised by David McLachlan of the Clan MacLachlan Society supported by the Cambridge & Districts Pipe Band and Mitchell Kilt Hire and other folk who contribute their skills. In 2010 the event incorporated a play based on the battle at Culloden and the aftermath. For 2011 the play will be based on the massacre at Glencoe. 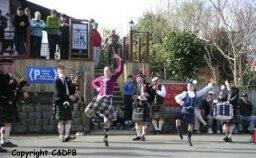 Items are provided by the Cambridge and Districts Pipe Band and any other folk who wish to contribute an item. Music, Burns story etc. to be held in Frankton, Hamilton. Saturday 2nd of July. We start off the day with a street march at 11 am. extra 30 minutes to browse the Market before the march. south of the post office on Kent Street.
' Pot Luck ' luncheon plates can be left at the Agora from 9.00am. entry to the Agora will be $10.00 per adult, school children FREE. The Haggis ceremony will be followed by lunch 12.00 – 1.00pm. programme that will run from 1.00pm – 3.00pm. Afternoon tea will be provided from 3.00pm. to keep our culture alive. 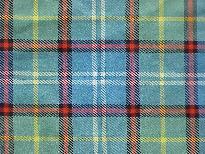 tartans, sporrans, belts, kilt hose, sashes, ghillie brogues etc. 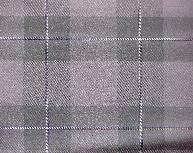 All three tartans above are copyright designs of The Suit Surgeons Ltd, Dunedin, NZ. 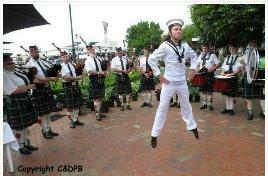 This is a franchised pattern copyrighted and owned by the NZ Piping and Dancing Assn. Currently there is only one licensed outlet and therefore limited circulation with restricted use. 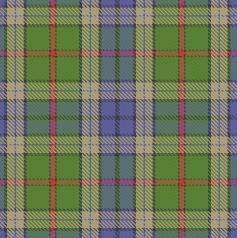 It has similarities in impression to the Fraser Hunting tartan in ancient colour tones. 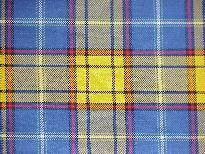 One of our otherTartan pages also has tartans of other Celtic Nations:..